Fashion Law is a rapidly emerging specialty area addressing the legal needs of the fashion industry. Indeed, there is no doubt that many in the fashion industry have a need for lawyers with actual industry experience who understand the unique issues the industry faces. This seminar, taught by Ms. Uduak, fashion industry insider and former model, and one of the few fashion lawyers in the country, starts with an introduction on what is fashion law and then delves into diverse areas of law that directly affect the industry. Ms. Uduak will discuss the following topics: Fashion & intellectual property law (The Fashion Copyright Bill (IDPPPA) and recent court rulings in cases like Louboutin v. YSL, Louis Vuitton Hangover II Lawsuit, and Gucci v. Guess will be discussed), Fashion & Social Media Law, Fashion & Employment/Labor Law, Fashion & Criminal Law, Fashion & International law and Fashion Trademark & Licensing. The seminar will also give special attention to modeling agencies and models, fashion designers, fashion event production and fashion photographers. If you are in the fashion industry or regularly interact with the industry, this is one seminar you do not want to miss! Come with all of your questions! Presenter: Uduak Oduok, Esq. has a passion for law and fashion, and an extensive experience as a trial lawyer litigating a wide variety of issues in both civil and criminal law; and almost two decades of first hand knowledge and experiences that are as diverse as they are deep in the fashion and entertainment industries (modeling, fashion retail, fashion production, public relations, journalism, and publishing). 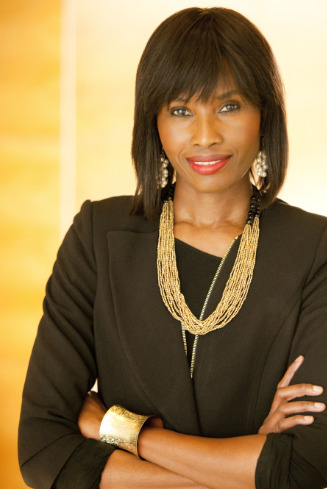 She has counseled a range of clients from musicians, models, actors and actresses to designers on numerous areas of the law including contracts, business law, fashion and entertainment law, copyright, trademark and intellectual property law. Uduak earned her B.A. in Speech Communications, with honors, from San Jose State University, with a minor in philosophy. She attended both Georgetown and UC Hastings School of law, obtaining her Juris Doctorate (J.D.) in 2001 from UC Hastings College of the Law. She is also the founder and publisher of Ladybrille Magazine, the first ever publication focused on bringing African fashion and entertainment to the Western masses, Ladybrille. In 2008, her effort was recognized with a feature in the prestigious American Bar Journal. Recently (2010) Uduak was nominated for the Africa Fashion International Africa Fashion Awards for her, “Outstanding Contribution to Fashion Communications.” This 2012 Uduak has been nominated as 'Media Personality of the Year' at the 7th Annual Nigeria Entertainment Awards to be held Aug 31-Sept 2 in New York.